Great Trip But Glad To Be Home. Hi everyone! 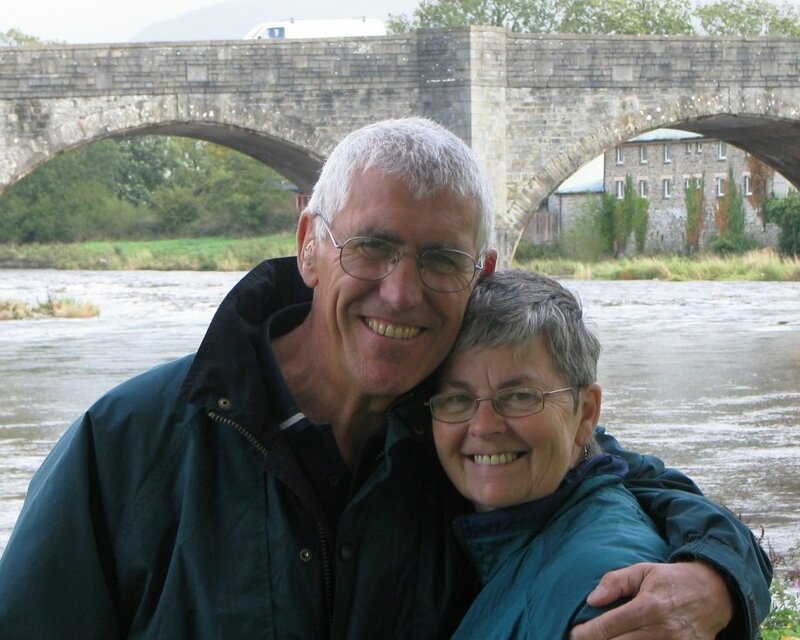 We got home on Wednesday 20th and I’ve struggled to put out a post since then. However, here goes, on what will be a very condensed version of the trip. 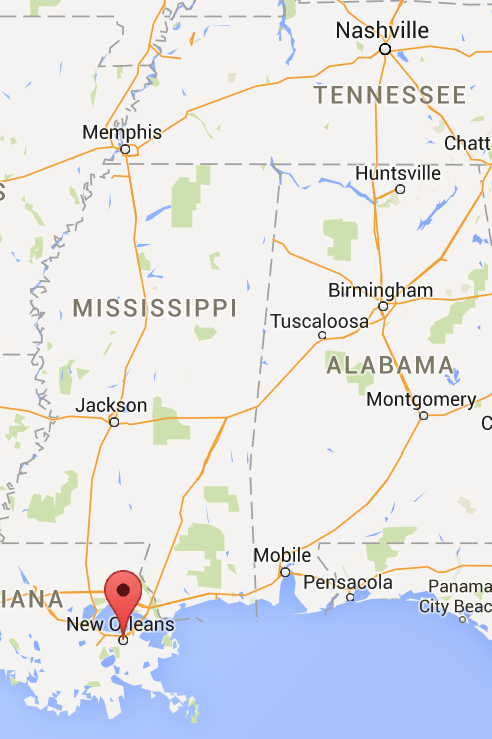 Basically, we flew from Seattle after driving there. 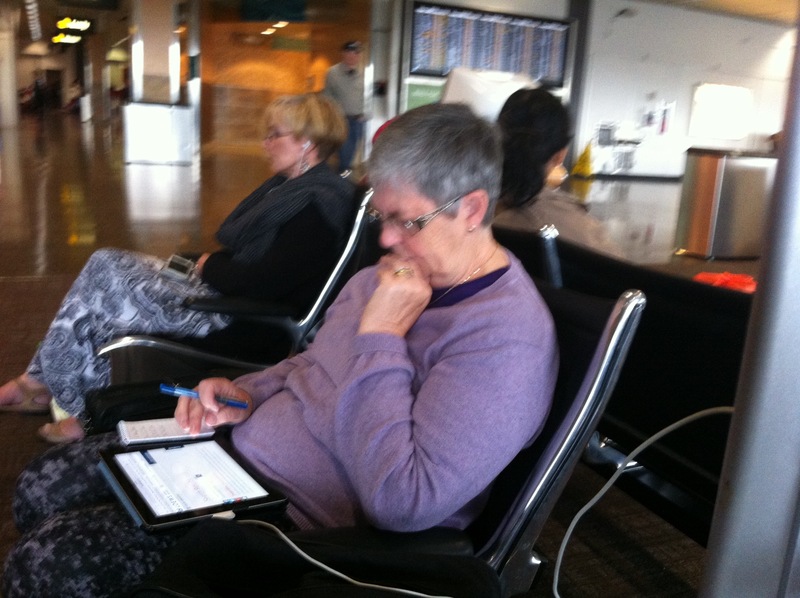 Our outward flights took us first to Salt Lake City and then on to New Orleans in two relatively short hops. 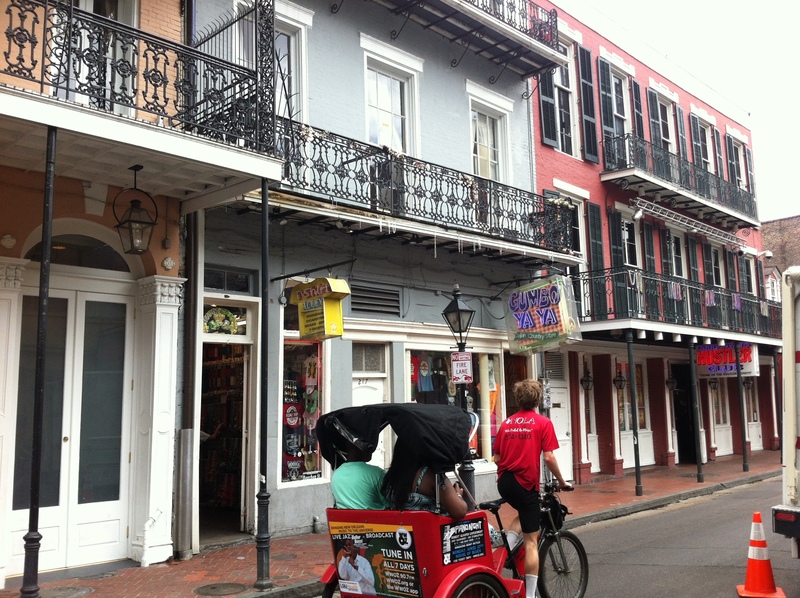 We landed at New Orleans and began to explore. 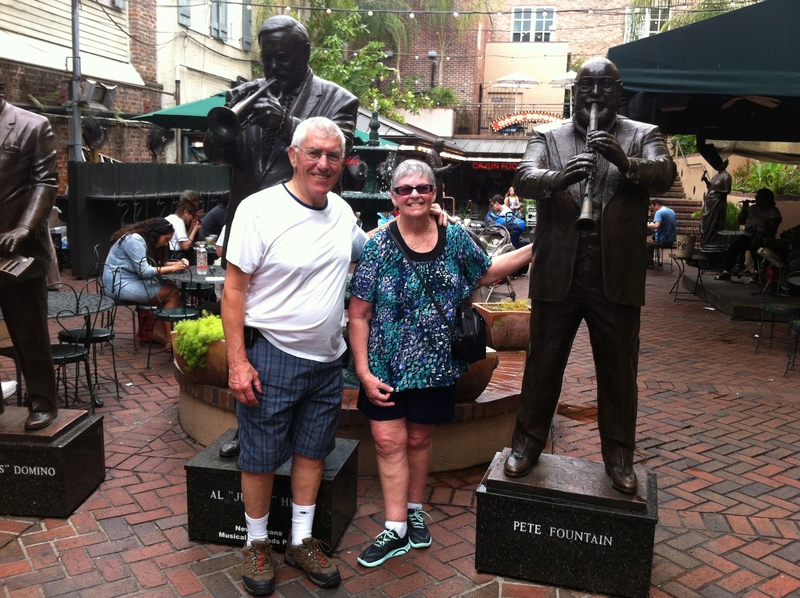 We saw the French Quarter and ate there too, enjoying the food and the music. 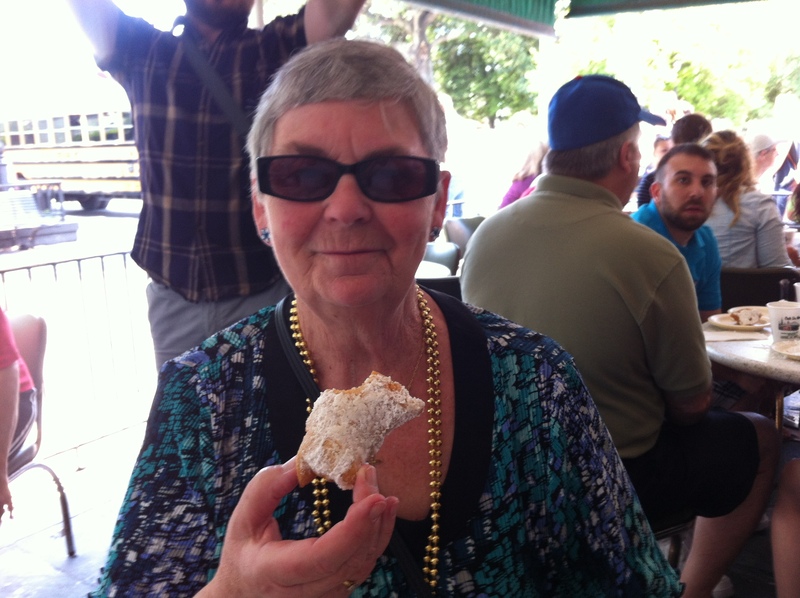 Coffee and beignets at Café du Monde were a must too. We enjoyed the sights and sounds as well as the smells of the city, visited Bourbon St. and did all the usual touristy things. 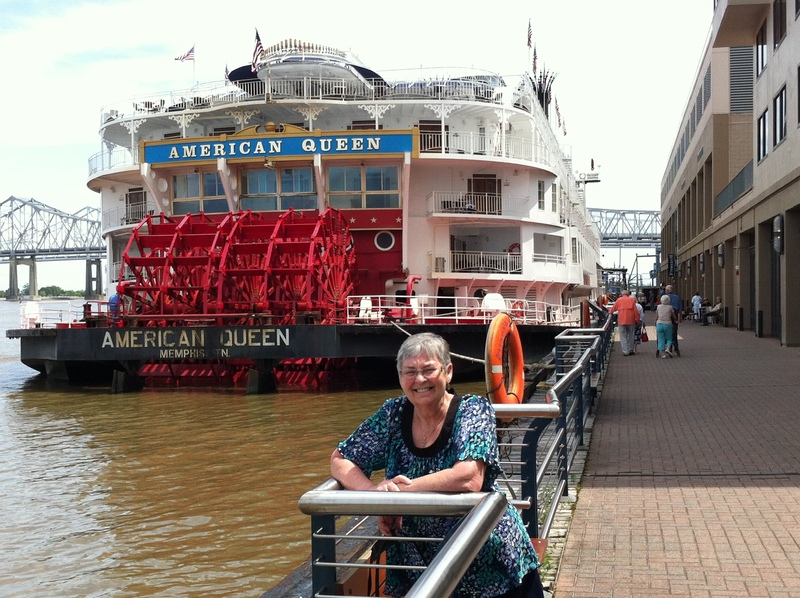 After three great nights in New Orleans we boarded the American queen steamboat and headed upriver to Memphis, some 600 miles and seven nights away. Two Beautiful Ladies About To Go Upriver. 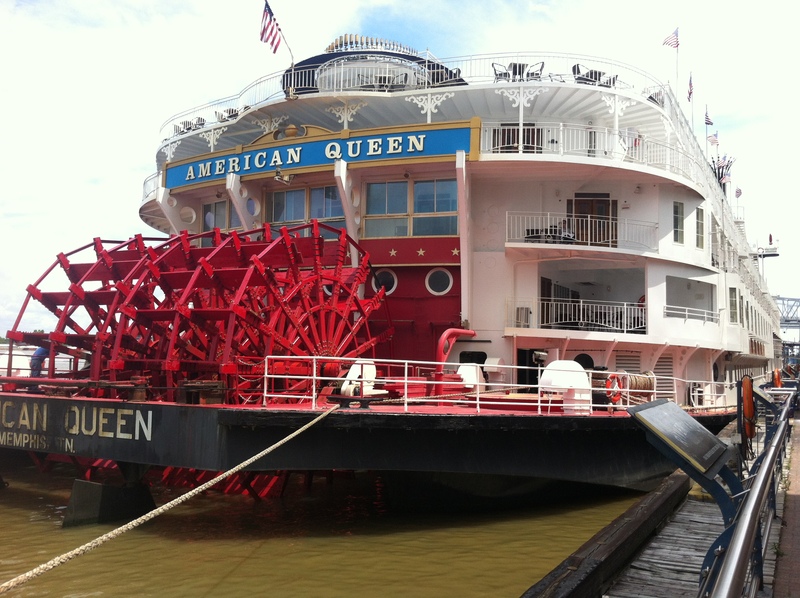 Closer Look At The American Queen. 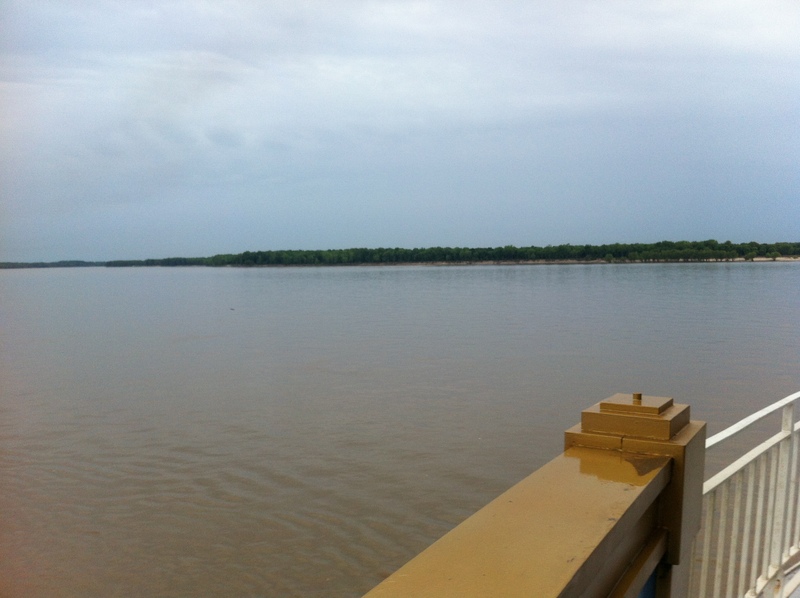 The river was wide and brown from sediment dumped into it by the Missouri river farther north. We saw the occasional “tow” (even though barges were being pushed). 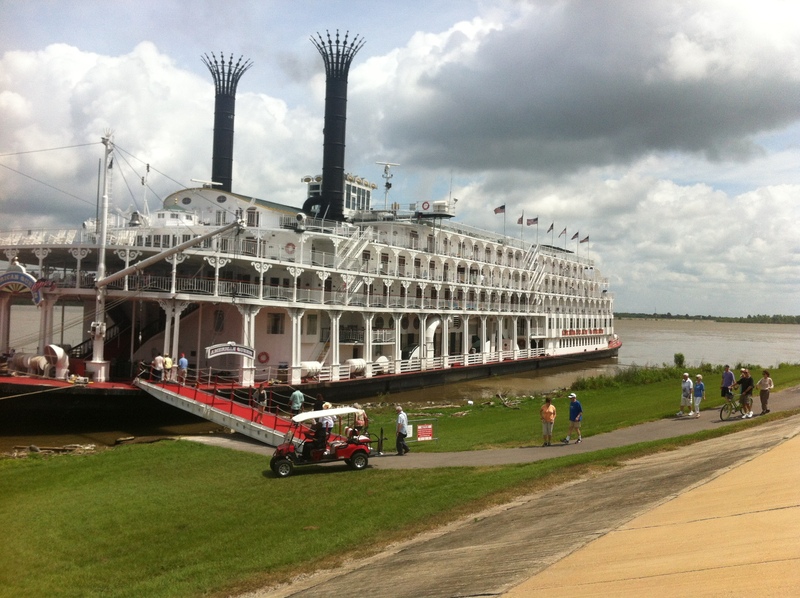 We made quite a few “landings” at river ports along the way, Helena, Vicksburg and Natchez among them. 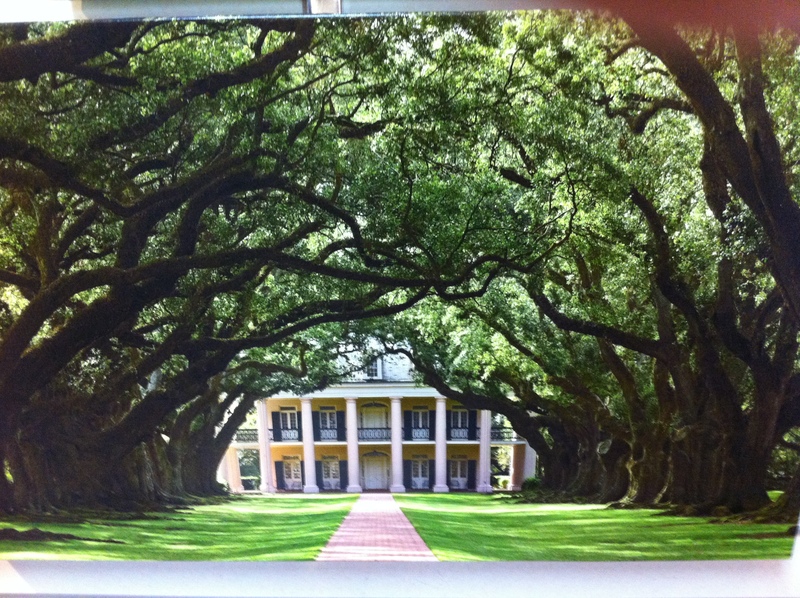 One of the more memorable ones was to a former sugar cane plantation at Oak Alley. When we got off the boat and climbed the levee, a majestic sight was in store. We looked along an avenue of 900 year old living oaks, to the mansion house at the far end. What a sight it was! The stop there was beautiful and we learned a lot about slave labour, sugar cane growing and the life of the plantation owner. It was great stop. Mansion Through The Living Oaks. 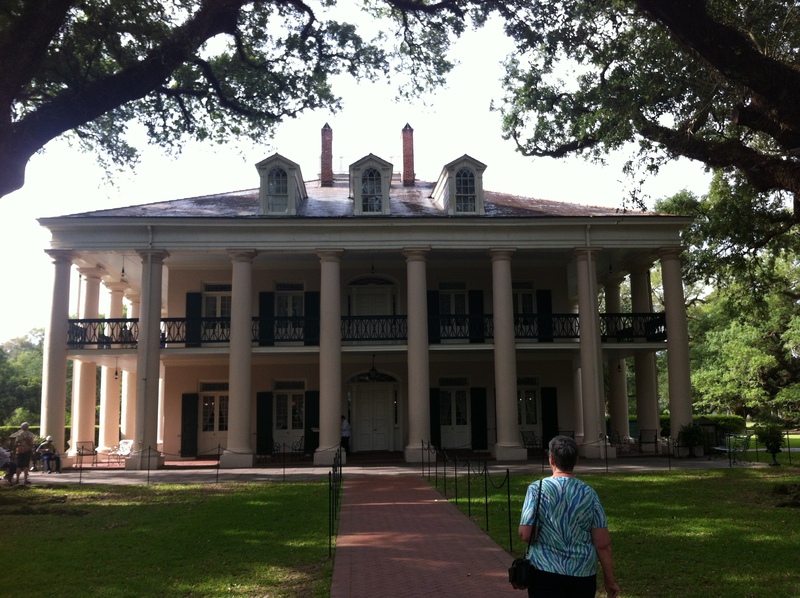 The Plantation House Close Up. Eventually we landed at Memphis and picked up a car from the airport to drive 200 miles east to Nashville. 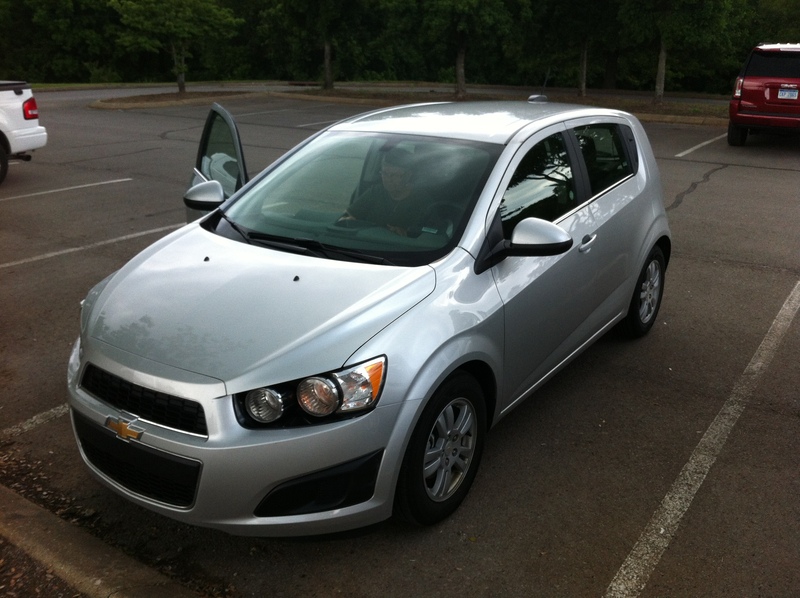 The little Chevy Sonic proved to be a dandy car. The Chevy Sonic, Perfect For Us. The drive to Nashville was horrendously wet. We drove in pouring rain most of the way and we were both very glad to get to the hotel. 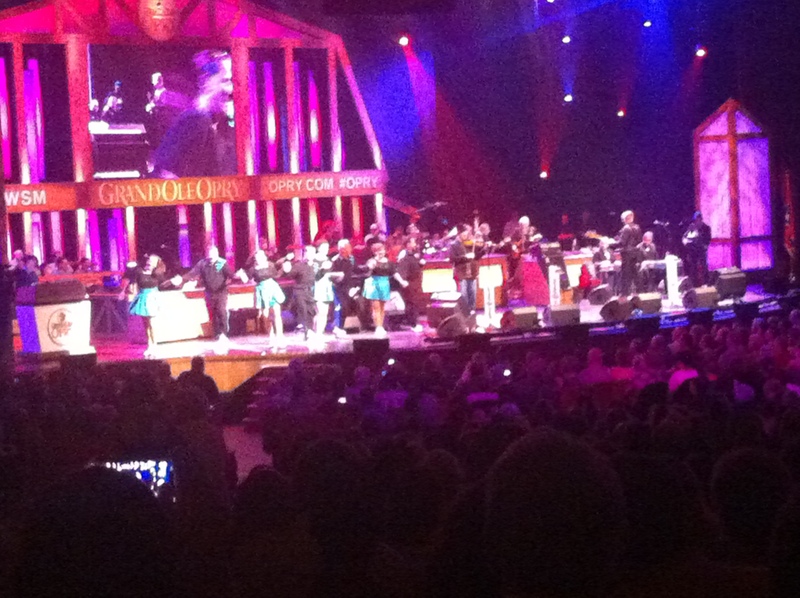 Once again we toured the city and saw a show at the Grand Ole Opry. Another highlight was church on Sunday morning. We visited the Cowboy Church run byPastor Harry Yates, and his wife, Joanne Cash Yates, the sister of the late Johnny Cash. 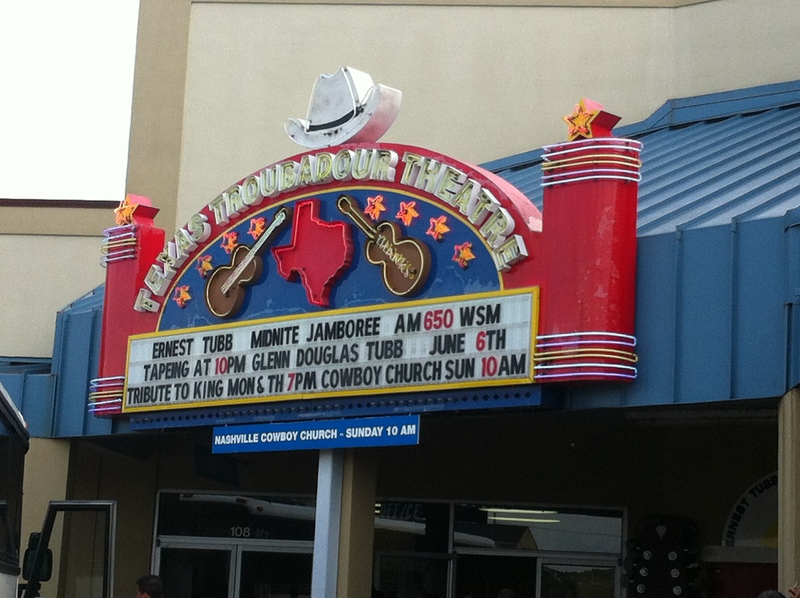 Home Of The Cowboy Church In A Strip Mall. 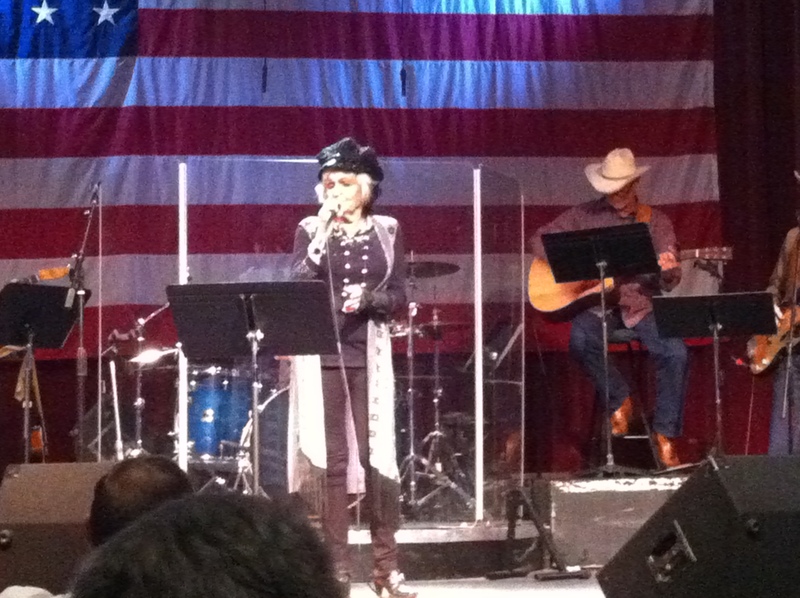 Joanne Cash Yates Sang For Us. After an enjoyable two days in Nashville we drove back to Memphis. The return trip was much prettier and faster on a hot sunny day. 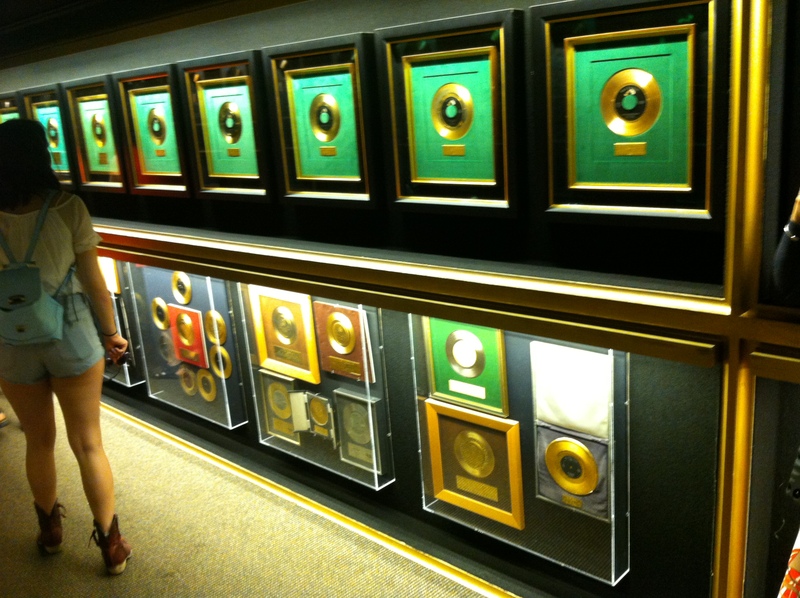 Highlights here of course were wandering Beale St., listening to music and eating ribs, and a five hour visit to Graceland, home of Elvis Presley the next day. I liked Elvis’ music but another side of the man which greatly impressed me was the amount of funding he gave to local charities. 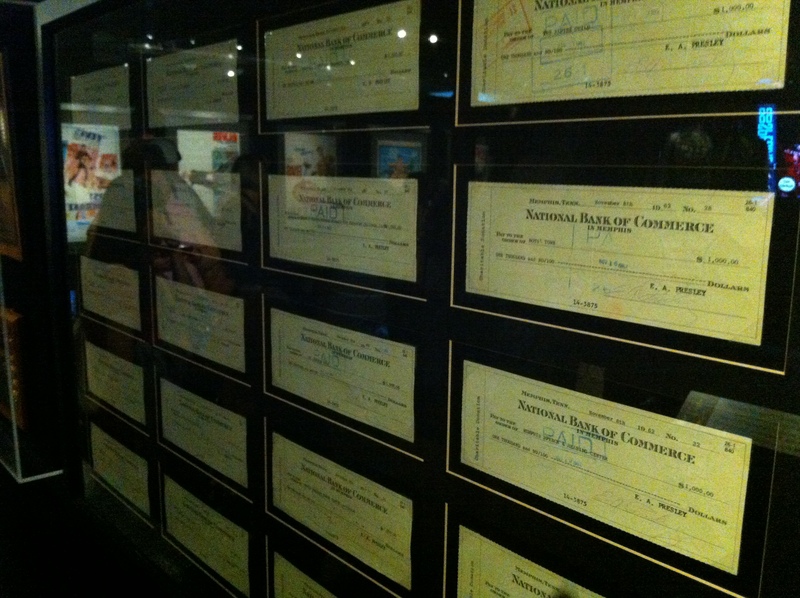 There was a whole wall of his trophy room which contained the cheques he’d written in support of different groups. Part Of The Wall Of Cheques For Charities. 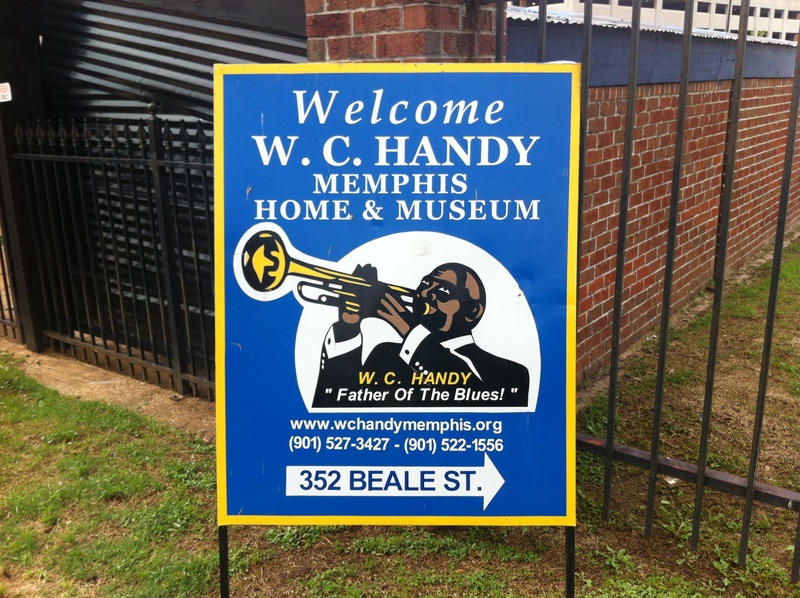 W.C. Handy’s Home Now On Beale St. 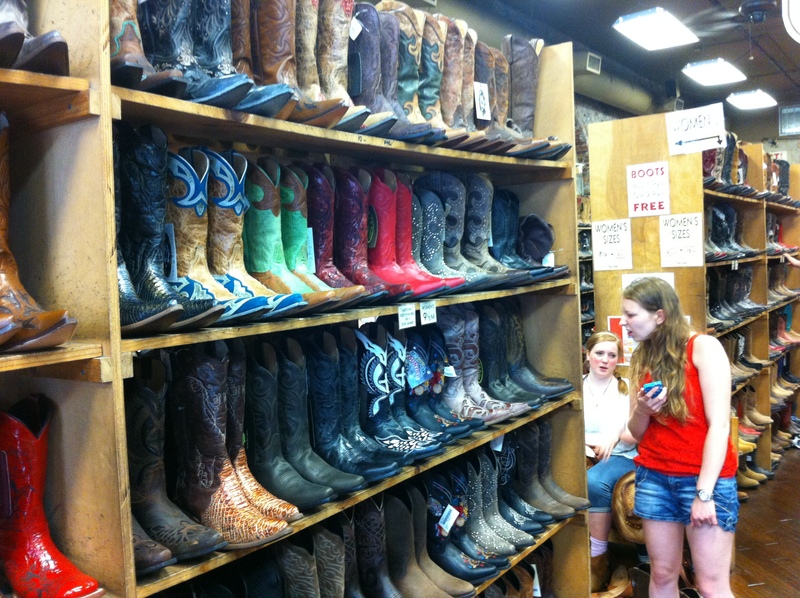 Boot Store In Memphis. Buy One Pair, Get Two Pairs Free, But Beware The Price Of The First Pair! Our time in Memphis came to an end after two days there. We began our journey home at 3.30 in the morning Comox time, 05.30 Memphis time.Two short hop flights of about two hours each, via Denver, got us to Seattle where we picked up our car and drove home. We arrived home in Comox 19 hours after our start. Boy, were we glad to be back at the ranch! I’ve added some more random pics from the trip in a slide-show below.